Scandinavian cities are renowned for the quality of their cultural offerings, minimalist style, design aesthetic and excellent accommodation, making them ideal for a holiday. Whether it’s part of a longer itinerary or a short city break, you’ll be treated to fine dining restaurants and world-class museums and art galleries. Surrounded by forested hills and picturesque lakes, Oslo is a true outdoor playground for a city break. Day trips out of the city reward explorers with excellent hiking, cycling, boating and – come the season – skiing. Back within the city limits, you’ll find a full complement of museums and an opera house whose world-class performances are only matched by its outstanding contemporary architecture. 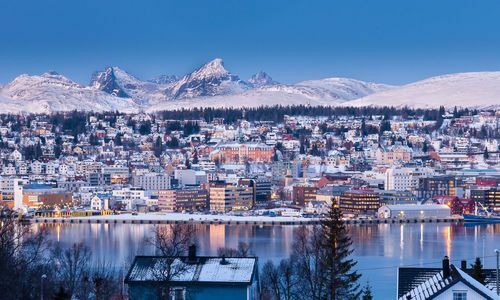 The gateway into Norway's Arctic Circle, Tromso is a launchpad to discover Norway's wintery delights. Jump on board a snowmobile or take control of a pack of huskies to mush through snowy fields perhaps in chase of the spectacular Northern Lights. In the evening, return to lively nightlife in historic beer halls and lively restaurants. 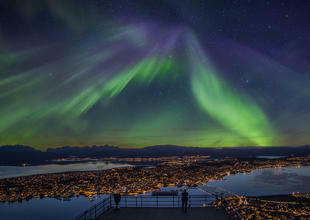 The country's second largest city – Bergen – is set on Norway's fractured west coast. 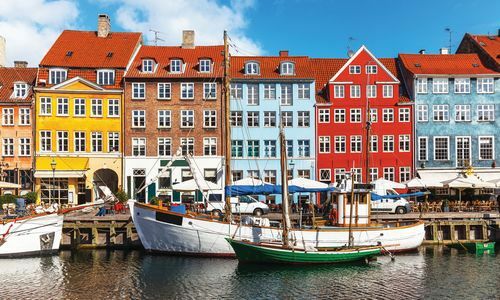 Thanks to its location, its enjoyed a rich history as a port town that can be still seen in the wooden buildings and alleyways of its hanseatic wharf. It's also perfectly poised for day trips in the picturesque Norwegian countryside. 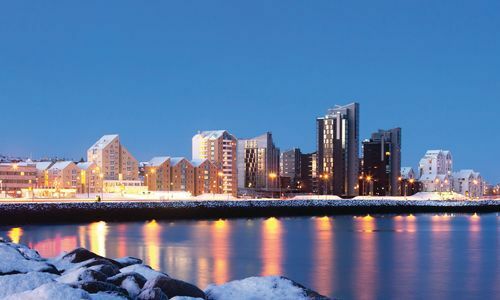 As the world’s most northerly capital, you’d be forgiven for thinking that Reykjavík merely survives. But, instead, thanks to its superb museums, international galleries and quirky, colourful buildings, it flourishes. It’s also a perfect launchpad for tours into Iceland’s pristine wildernesses. Spot whales, trek through forests and listen to the crashing of waterfall torrents on day trips out of the city. 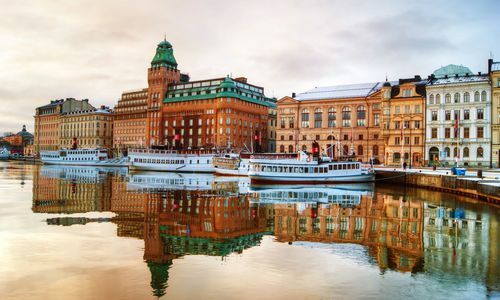 Stockholm makes for a fantastic city break, since despite being the region’s most populous city, Stockholm’s 14 islands are perfectly intimate. Walk through its cobblestone streets and inner-city parks to royal castles, ship museums and Skansen – a ‘Sweden in miniature’ museum. Laid-back Gothenburg’s neoclassical architecture is plied by trams and arts lovers alike as visitors are treated to collections of Scandinavian art in its galleries and world-class exhibits in its Maritime Museum. You'll also find sights that range from English gardens – littered with sculptures – to 17th century barbicans that look out over the city. Malmö’s canal-encircled boho and café culture is starting to show signs of a Danish influence, imported by the Öresund bridge that links the city with Copenhagen. 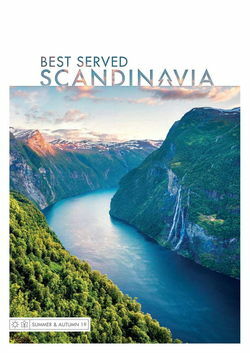 Find classic Scandinavian design in its buildings or preserved in its museums while a multicultural population has created a fantastic restaurant scene. A Copenhagen city break is a great way to explore how Copenhagen’s forward-facing outlook belies a royal past – exemplified by Rosenborg Castle. 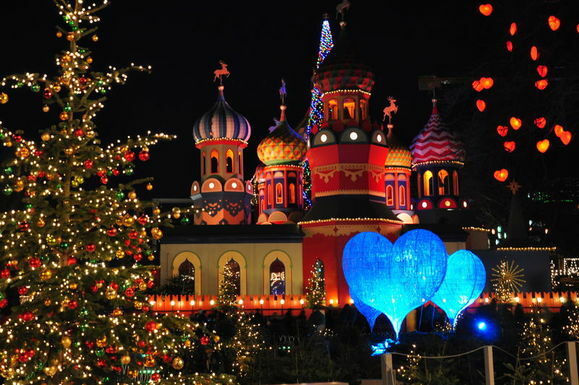 Wander through 19th century Tivoli Gardens or head to the excellent Nationalmuseet for an introduction into Danish history and culture. It also has one of the highest concentrations of Michelin-starred restaurants per capita in the world; feast on regional goodies and world cuisine alike. Helsinki’s waterside is littered with bays, inlets and islands all waiting to be explored. Back on land, consider its past in the art-nouveau Atenum art gallery or look to its future in metallic Kiasma, a contemporary architectural tour-de-force. In between, cutting-edge design studios and a thriving restaurant scene round off one of the region’s most interesting cities. 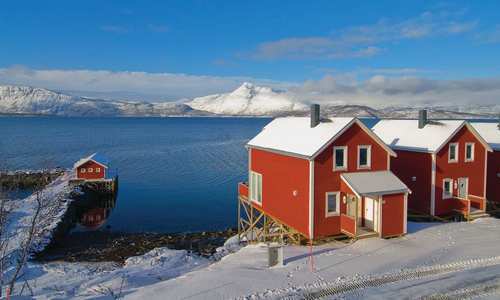 Oslo’s museums, art galleries and fine restaurants are the perfect foil for Tromso's winter wonderland, the outdoorsy Bergen or historic Trondheim. Iceland has just one city but, in Reykjavik, it’s got something special. 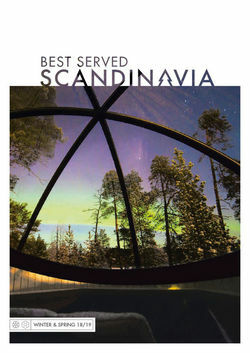 The gateway to incredible natural sights, it's also home to a vibrant nightlife and the Northern Lights. Forward-thinking Sweden is blessed with the largest collection of cities in Scandinavia. Visit Stockholm, Gothenburg, Malmo and discover what it means to be Swedish. Copenhagen is Scandinavia personified. Beautiful castles and canals give way to that classic Scandi style, seen in museums, cutting edge kitchens and hippy communes. 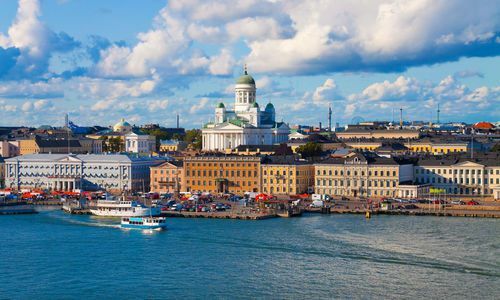 Blurring the boundaries between Scandinavian chic and Eastern European flair, Helsinki is unique among European capitals, let alone Baltic cities.